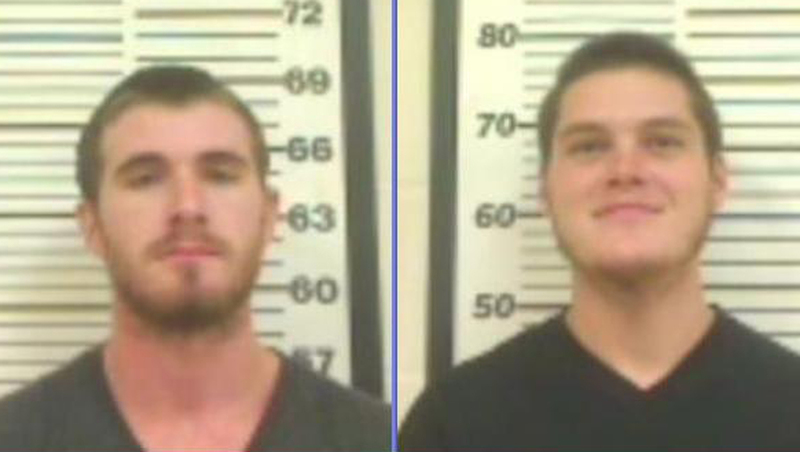 MADISON COUNTY, Fla. – Police officers arrested two fugitives with outstanding warrants Monday after they tried to flee by canoe down the Withlacoochee River in Florida, reports CBS affiliate WCTV. According to a Madison County Sheriff’s Office news release, police located Garrett Eure and Jessie Bryant, both 23, after initially seeking out Bryant, who was wanted in St. Lucie County on warrants for burglary of a dwelling with assault, and battery by strangulation. Investigators found Bryant with Eure, himself wanted in Alachua County for armed burglary and other charges. The two were holed up in a Lee, Fla. residence that belonged to a Cassandra Zabriskie, 21. The news release states that the two fugitives fled the residence after suspecting police had discovered their whereabouts. Using the Madison Correctional Institution’s canine unit, the sheriff’s office was able to track Eure and Bryant to the Withlacoochee River, where the suspects reportedly hopped in a canoe to evade authorities. The Water Patrol later located the fugitives downriver in the canoe, and both men were taken into custody without further incident. Zabriskie was also arrested and charged with resisting arrest without violence. Madison County Sheriff Ben Stewart said the arrest was the result of a combined investigation with the Gainesville branch of the United States Marshals. In addition to their initial arrest warrants, further charges against Eure and Bryant are pending.